Please take this cup of suffering away from me. Yet I want your will to be done, not mine. On the way, Jesus told them, "All of you will desert me. For the Scriptures say, ‘God will strike the Shepherd, and the sheep will be scattered.’  But after I am raised from the dead, I will go ahead of you to Galilee and meet you there." 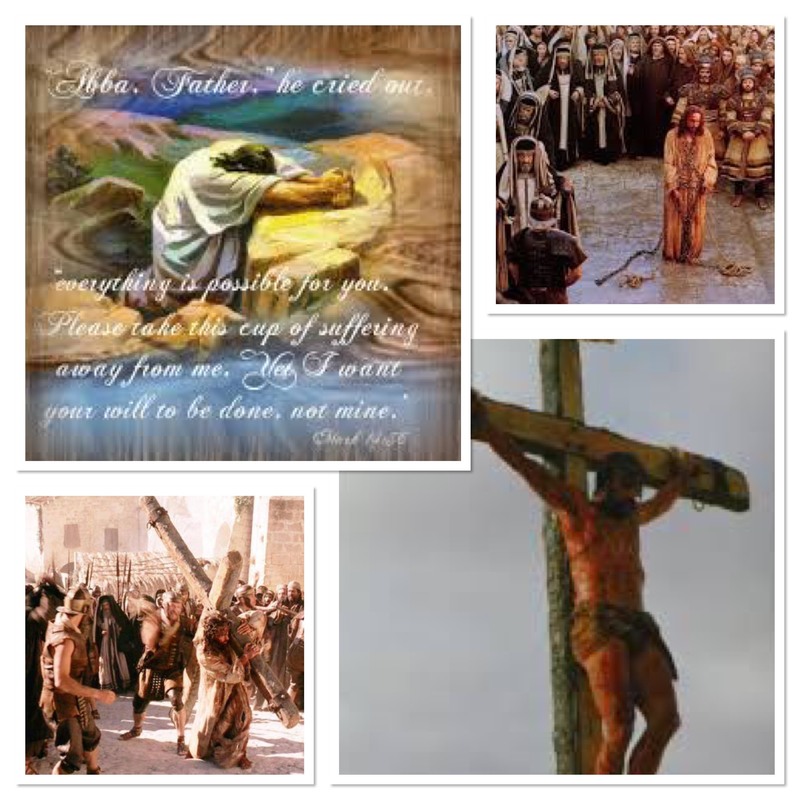 Dear Lord God, Abba Father, Jesus, only your amazing grace makes this Good Friday. Only your amazing love turns the horror of the cross into the beauty of salvation. Only you, Lord, can take what is evil and transform it into good. All praise be to you! Thank you, Lord Jesus, for dying in my place. Thank you for taking upon yourself the penalty I deserved but could never fully bear. Thank you for all that your cross makes possible. Help me, I pray, to know more deeply and truly what your death means. May I receive your grace in a new way today. And may I share it with others. Amen. This entry was posted on March 30, 2018 at 6:06 am and is filed under One Walk. You can follow any responses to this entry through the RSS 2.0 feed. You can leave a response, or trackback from your own site.